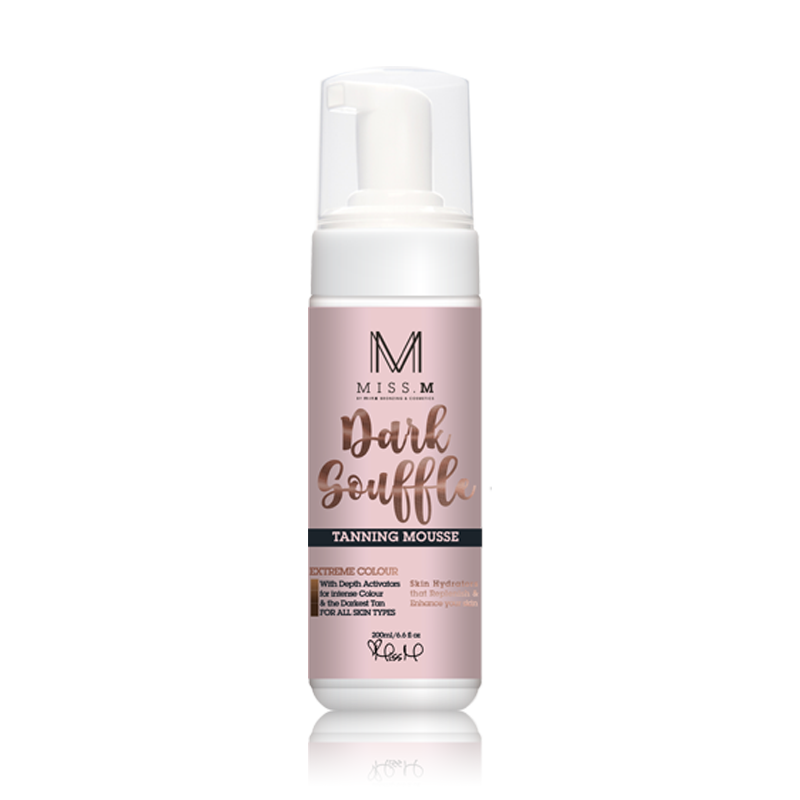 Darken, extend, hydrate and care for your tan- we have a range of Miss M by Minx self tanning products to help make the most of your gorgeous tan! Packed full of skin loving ingredients the Miss M products are 100% Australian made with organic, paraben free, cruelty free & 100% vegan friendly ingredients. Available in both Byron and Ballina Salons. Specifically formulated for Faux Tanners, giving you a luxurious experience with a gentle cleansing action, while protecting your skin from moisture loss. Coconut Oil & Avocado Oil nourish the skin for a smooth, hydrated finish ensuring your skin glows and your tan lasts. 500ML Pump Bottle. Use daily to build or extend your radiant colour. Containing the perfect balance of Coconut Oil, Macadamia Oil and a hint of Sunless Colour together with Australian botanicals giving your skin the hydration and glow it deserves. A lightweight, ultra hydrating tanning lotion that continues to develop into a deep dark tan. Containing the perfect balance of Coconut Oil and Australian botanicals giving your skin the hydration and glow it deserves. Containing depth activators to achieve the darkest tan possible for your skin tone, as well as skin hydrators that replenish & enhance your skin. Dries quickly on the skin, for an ultra deep colour reapply after 20 minutes. Just apply & go!! Colour development starts within 30 minutes. Contains our darkest tanning agents and formulated with Sweet Almond Oil and Coconut Oil for ultimate SKIN LOVE!! Contains our darkest tanning agents.